Bottled ketchup or tomato sauce is nothing more than high fructose corn syrup, plenty of salt and sugar, MSG and just a tiny bit of overcooked tomatoes mixed with lots and lots of food colouring. Just one tablespoon of ketchup contains around 4 grams of sugar and most people use way more than a tablespoon when eating fries or other snacks. 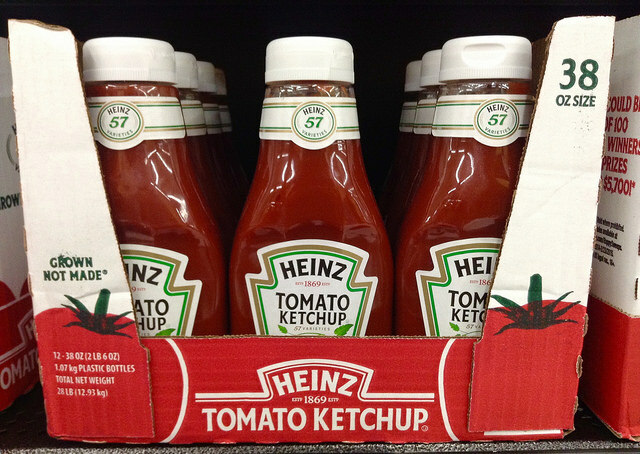 Simply put, commercially made ketchup is just a bottle full of sugar and red food colouring. For a healthier alternative, make your own ketchup where you can use fresh ingredients and control the amount of sugar in the sauce.